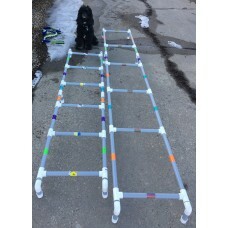 Conditioning Cavaletti's (or ladder) is a great addition to your exercise or sports program for your active pupz! 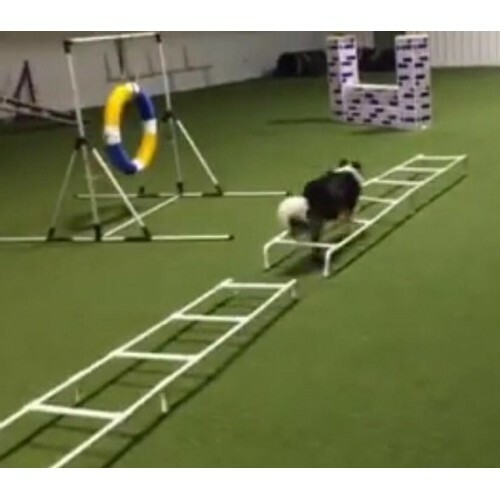 Whether your pup is in obedience; agility; lure coursing or even dock diving, cavaletti work will help your pupz learn how to control their body and all four legs. It will teach your pupz proprioception & will help to build muscle to ensure their joints more elastic, thereby relaxing/eliminating stiffness! We offer 3 sizes to accommodate most sizes of dogs! * There will be some assembly required upon arrival and PVC will be grey. * Decorated in bright, fun colours!